A vehicle manufacturer with a world-renowned reputation for innovation and reliability, Honda is a staple of our modern roads and highways. The Japanese company began by making motorbikes following the end of the second world war, and quickly grew as it invested heavily in research and development. Today, Honda continues to develop new technology and the company is as well-known for its range of cars as it is for its motorbikes. If you're the owner of a Honda car, you'll no doubt want to make sure it's kept in the best condition, and part of that includes ensuring you have the appropriate tyres. If you're uncertain which tyres you need, here are some of the most popular models and the tyres that should go with them. But before making any purchases, make sure you check your car's manual or consult a tyre professional to confirm the tyres are suitable for your specific model. The Civic is the ideal car for everyday driving; it has enough room for all the family and offers a great combination of economy and luxury. There are many different versions available, including three and five door hatchbacks, estates and saloons, so tyre sizes range all the way from 165/70R13 to 225/40R18. Again, there are many different versions of the Accord, such as hatchbacks, coupés and sedans. This model offers drivers an extremely comfortable ride, with the saloon version aimed at low level executives. Tyre sizes are between 185/70R13 and 235/40R19, depending on the specific model. A very practical hatchback, the Jazz has proved a hit with drivers with its clever interior layout and reliability. Its compact size and funky look have made it especially popular with young city dwellers. Tyres for this model range from 175/65R14 to 195/50R16. The Crosstour is a crossover SUV that is aimed at young working couples. It offers ample room inside and a comfortable driving experience. Tyre sizes go from 205/75R15 to 235/55R17. This compact SUV has wide appeal, as it's perfect for both families and off-road enthusiasts. It has exceptional fuel economy, lots of space and advanced safety features. If you own a CR-V, you'll want to look for tyres from size 205/70R15 to 225/60R18. This hybrid sporty hatchback has a sleek, modern look and is bundles of fun to drive. As a hybrid, it offers great fuel economy and a comfortable driving experience. Tyres range from 195/55R16 to 225/35R18. Although the S2000 isn't in production any more, it is still popular with Honda fans. Eye-catching styling, outstanding high-RPM power delivery and smooth handling made this an extremely sought-after sports car. Tyres for the S2000 are between 205/55R16 and 225/40R18. Another model that isn't in production any more, this mid-engine sports car went through many facelifts but remained one of Honda's most in-demand performance models. Combining power and good looks, this is a sports car to be seen in. Tyres sizes range from 205/50R15 to 215/40R17. A new Honda NSX is currently on the drawing boards and has been given to some car reviewer to test. Some say it's gods gift to supercars, others say it's not as good at the original. If you're lucky enough to own ones of these, I'm sure our tyre technicians would love to come out and visit you! If you need tyres for your Honda vehicle, Road Runner Mobile Tyres has exactly what you're looking for. 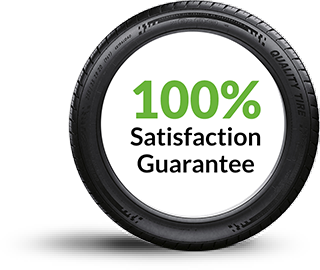 We stock a huge range of tyres, from all the major brands, and pride ourselves on our affordable prices and outstanding customer service. Best of all, there's no need to come to us to get your tyres replaced - we will fit your tyres wherever you want us to, whether that's at your home, workplace or elsewhere. Get in touch now to find out more.